SCVHistory.com LW3151 | Film-Arts | Lobby Card: Winifred Westover (ex-Mrs. Hart) in 'Lummox,' 1930. 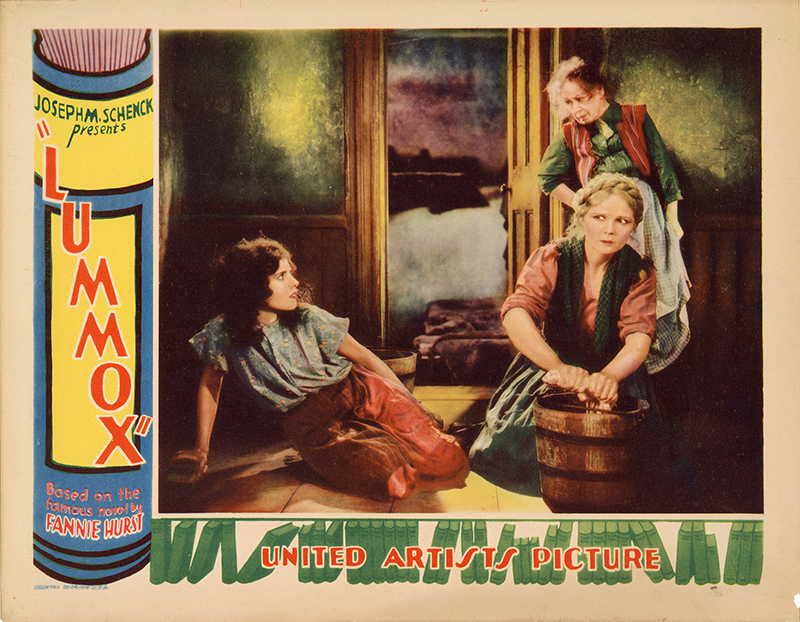 Lobby card advertising "Lummox" (1930) featuring Winifred Westover, the ex-Mrs. William S. Hart, in the title role. Westover is at right, foreground. Also shown: Dorothy Janis (left) and Ida Darling. Janis appeared in only five films; this was her only talkie. She retired at age 20 and married bandleader Wayne King in 1932. LW3151: 9600 dpi jpeg from original lobby card purchased 2017 by Leon Worden.